Give yourself extra time to catch your train this winter: Track Zero Taproom, from breweries Jack’s Abby Craft Lagers and Springdale Barrel Room, opens later this winter on the North Station train platform. Taking over an existing open-air bar inside the commuter hub and TD Garden entrance, Track Zero will be a local craft beer-filled option for pre-Garden pregaming, too. Ten different beers from the Framingham sister breweries will pour from the taps at Track Zero. That will likely include craft lagers like Jack’s Abby’s crushable pilsner, Post Shift; Blood Orange Wheat; and the hoppy double India pale lager, Kiwi Rising; plus experimental ales, barrel-aged sours, and stouts from Springdale. Today’s announcement from Jack’s Abby comes after the TD Garden shared longterm plans for arena upgrades. Like the opening of Alcove and anticipated debuts of a Night Shift brewpub and a location of A&B Burgers, it’s also another welcome bit of news for fans bored of the typical Canal Street bar crawl. Track Zero Taproom will replace the current North Station Bar, which will stay open as it’s gradually rebranded by Jack’s and Springdale. Pending all MBTA approvals, the new beer bar will be fully open by early 2019. 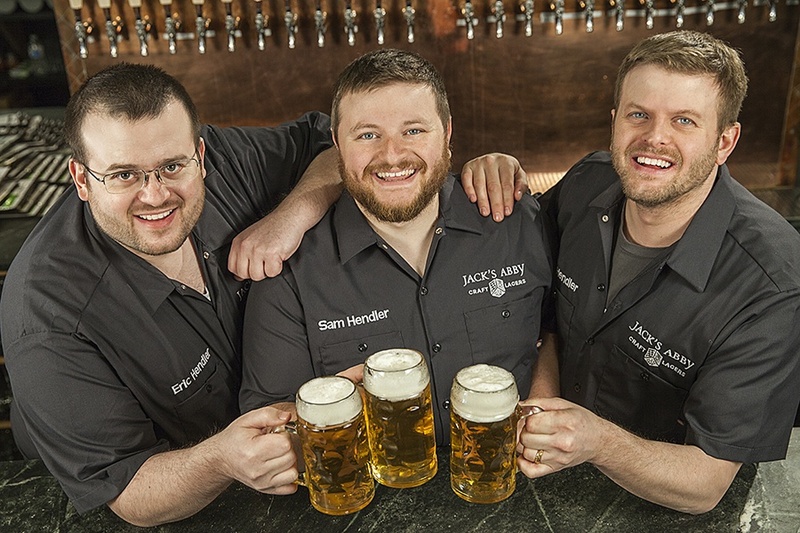 Jack’s Abby has been a big player on the Massachusetts craft beer scene since launching in 2011 with an all-lager lineup, and it has a lively beer hall and restaurant in Framingham. In 2016, the brewery took over more space in its warehouse to add the Springdale Barrel Room, which has a taproom full of games of its own. But the sister companies were noticeably absent from the summer of the beer garden in Boston, which saw satellite branded bars around town from Trillium, Night Shift, Castle Island, Cisco, and more local breweries. Track Zero Taproom sounds like it will be a welcome wintertime edition of this trend.